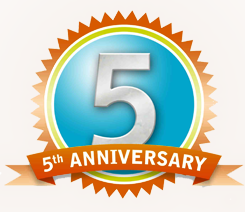 This week marks the 5th anniversary of TEKFLOOR being in business. And we wanted to mark the occasion by saying a massive THANK YOU to everyone who has supported us, worked with us, taken a chance on us and believed in us during this time. We have to admit, it hasn’t all been plain sailing. But as the lyrical masters Chumbawumba once said – “you get knocked down, you get back up again”! Here’s to many, many more exciting years ahead. TEKFLOOR is committed to being the number one distributor of screeding products to the specialist flooring trade throughout the UK. As an independent business, they offer excellent levels of service to their customers by offering a free technical advice service – helping them choose the right products; being competitively priced and offering a flexible delivery service. The technical experts at TEKFLOOR have a wealth of knowledge, qualifications and experience, so clients can be confident that any technical query they may have can be answered swiftly and professionally. For further information, contact us on 03300 555227 or email info@tekfloor.co.uk .